Statistics show that 65% of burglaries occur between 6am and 6pm. Yes, you are reading it correct. Daytime burglaries are indeed more common than nighttime, and burglars break into your home not only while you are asleep. So how to prevent daytime burglaries? And what are the common myths about daytime burglary prevention strategies? In today’s post, you will learn all you should know about how to deter burglars during the day. Home burglary statistics show that a burglary is most likely to occur are between 10am – 3pm. You are at work and your kids are at school in the daytime so the burglars are more likely to succeed in daytime burglaries without being noticed. In the daytime burglars can easily notice the presence of your security cameras and alarms and may figure out ways to disable them. Burglars can conduct daytime burglary without breaking-in, like they are the homeowners coming back home. Some tips we believe to prevent residential daytime burglary turn out to be mere misconceptions. Read the following top 5 daytime burglary prevention myths and learn the tips about how to effectively protect your home from daytime burglary. Does having a big dog really deter daytime burglars? Maybe not. 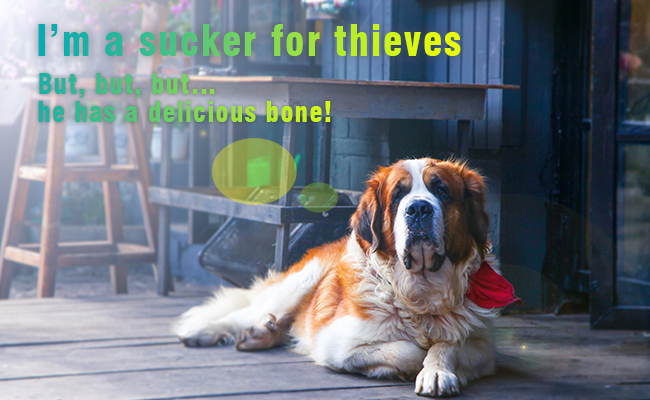 Some dog won’t bark at strangers and they can be swayed by a tasty treat. Besides, animals can also be at risk of being attacked by daytime burglars. Tip: If you want a dog to deter daytime burglars, you should get a barking dog rather than a big one. Also, remember to provide proper and through training so that your dog can serve as a powerful guard to protect your home from burglary during daytime. You place all your jewels, cashes, electronics and other valuables in a safe and hide it under the bed or your closet. Do you think that is a safe way to deter daytime burglary? Chances are that the daytime burglars would find the safe easily and open it with burglary tools. When they can’t open your safe, they would take it away. Tip: In order to make your safes immune from daytime and nighttime burglary, the first important thing is to never talk about your safes and hide them well (get to know the 5 creative ideas for how to hide a safe). Plus, to prevent the daytime burglars from removing the safe to a secure location where they can take their time to force it open, you can bolt your safe to the floor or ground with anchor bolts. Are you considering buying fake security cameras as a daytime burglary crime prevention tip because they are cheap? Let’s face it: A fake security camera won’t help you at all with the daytime burglary prevention. Tip: In fact, a real security camera or system won’t cost you much if you choose the security camera systems which can be installed on your own. Additionally, you can learn the tips and tricks about how to save money when buying a security camera system. 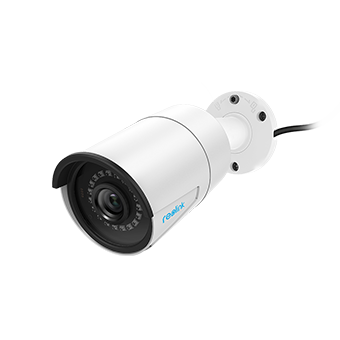 5MP/4MP Super HD; Outdoor/Indoor Protection; 100ft Infrared Night Vision; Audio Recording; Mobile Remote Access & Control. The daytime burglars would case your house before they break into your home. When they find that the mail carrier or newspaper delivery kid starts bypassing your home, it’s a clear sign that you’re out of home. Tip: A better way to prevent daytime burglary is to ask your neighbors of friends nearby to collect the newspapers or mails while you are away. When your habits remain unchanged, the burglars will have no clues to tell whether you are at home or not. 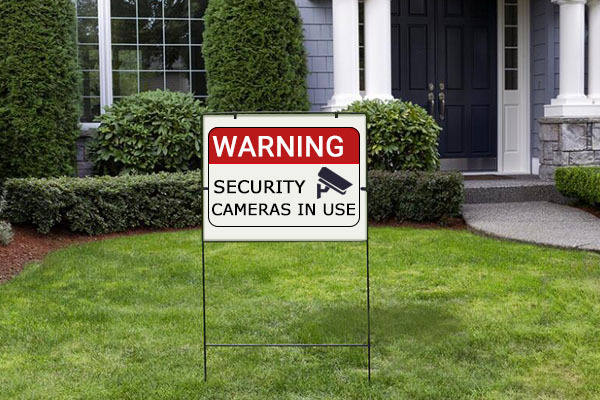 You install a renowned-brand security camera and put up the company security device signs, hoping that the burglary prevention devices can scare away the would-be daytime burglars. However, the information of the security camera/alarm brand can be used against you – daytime burglars can seek for ways to disable or hack into your system (check the unsecured IP camera brands). Tip: It is securer to post general alarm or monitoring signs so that the daytime burglars have no clue of your existing security systems. Besides, you can hide all the exterior wirings to prevent against deliberate destroy or vandalism. If you are a news lover, you won’t be surprised at how many daytime burglaries happen each day in West Virginia, Upper Darby, New York and perhaps your neighborhood. To avoid becoming the daytime burglary victims, let’s grasp more daytime burglary prevention tips and tricks that WORK for you. 1. Stop daytime burglars from targeting your home with the aid of burglary prevention devices, including security camera systems, alarms, window and door sensors. 2. Join the Neighborhood Watch program to look out for the suspects in the daytime. 3. Locking your doors and windows before you leave your home, even you are away for just a few minutes, can effectively prevent break-ins in your apartments. 4. Trim the bushes and lawn regularly so that the daytime burglars can’t hide themselves there. 5. It is also an important burglary prevention strategy to change your locks immediately after your keys are lost or stolen. 6. Place your valuable items out of plain sight and pull the curtains closed before you leave home. 7. Put away your ladder and other tools so that they won’t be used by daytime burglars against you. 8. Keep a record of your valuables so that they can be identified by the police should they be stolen by daytime burglars and you can also be compensated under your insurance policy. 9. Make use of a paper shredder in order to keep your personal information hidden and avoid identity theft from daytime burglars. 10. Never leave your spare keys under doormats, flowerpots, mailboxes or other hiding places — burglars are good at finding hidden keys. Editor’s Note: You can also learn the top 20 DIY home security tips and tricks to prevent daytime burglaries or daytime home break-ins. In virtue of these daytime burglary prevention strategies and tips, your adventure to protect your home from daytime burglary is more than half-won. It’s my hope that this article is one you’ll share with your friends, family and neighbors so that no one gets tangled up in misconceptions about daytime burglary that are easy to avoid. And how do you go about safeguarding your home from daytime burglaries? Tell me about your precautions in the comments below. This entry was posted in Expert Safety Tips and tagged daytime burglar, home safety. Jenny is an editor from Reolink. Her posts are helpful for homeowners, undergraduates, small business owners, and pretty much anyone who needs security tips for a worry-free world. If you want to say hi, you can email her at jenny#reolink.com (replace # with @) to connect!